The third album can be crucial for any band. Do they complacently settle into a signature sound they've forged, or take the opportunity to up their game in adventurous fashion? It should be no surprise that Montreal- based trio the Barr Brothers took the latter path, given the genre-defying material they created on their self-titled debut and 2014's breakthrough effort, Sleeping Operator. 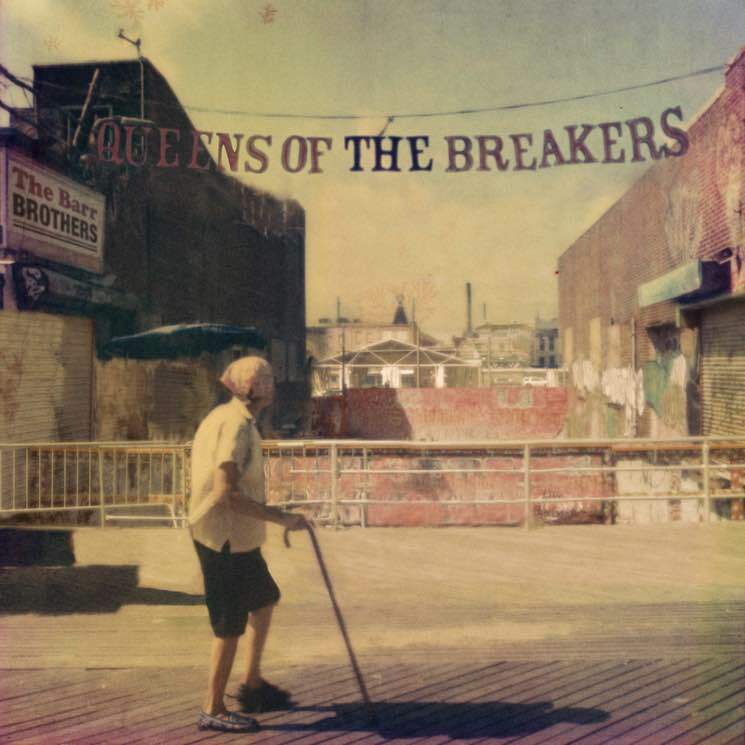 Queens of the Breakers is equally eclectic, but the strength of the writing, playing and production is such that it never sounds unfocused or incoherent. The album is jump-started in gentle fashion by "Defibrillation," with Brad Barr's haunting vocals nicely complemented by the harmonies of Lucius. The mellow feel continues until the pace picks up with "Maybe Someday" and its wailing harmonica solo. "Song That I Heard" starts off as a sparse folk-based tune until plaintive horns move it to a different place, while stone-cold killer cut "Kompromat" is compellingly atmospheric, and more than a tad Radiohead-like, sporting apocalyptic lyrics like "I was dragging the head of a buffalo through the city streets." "You'd Have to Lose Your Mind" features some of the droning, trance-like feel of earlier BB material, and the title track, an homage to the brother's youthful days Stateside, is a direct folk-rock narrative. "It Came to Me" is a surging guitar-fuelled rocker that again features an underlying drone that grips hard.